Following the Fukushima nuclear plant disaster in March 2011, the Japanese population has been understandably concerned about the ongoing situation at the site. Radiation has contaminated parts of the surrounding area, with some locations around the plant remaining off limits. Despite the authorities offering data about radiation levels, many are distrustful of the information. Responding to consumer demand, Japan’s third biggest biggest mobile carrier, Softbank, has developed a smartphone which will enable people to take their own radiation measurements. Softbank unveiled the phone, called the Pantone 5, at a press conference in Tokyo on Tuesday. The device, which will come in eight different colors, incorporates customized IC chips capable of measuring radiation levels in microseiverts per hour, Reuters reported. The chips are made by Japanese electronics giant Sharp. Son added that the phones were easier to use, as well as more comfortable to carry, than conventional radiation-measuring Geiger counters. According to Reuters, the Softbank boss has spoken out against nuclear power on many occasions since last year’s disaster, suggesting the authorities look more closely at renewable energy sources instead. 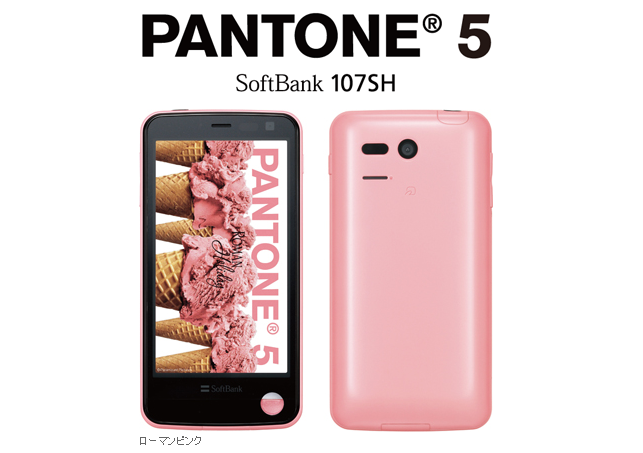 Softbank will begin selling the Pantone 5 phone this summer, though a price has not yet been announced. The phone differs from a similar device developed last year by Japan’s biggest mobile carrier, NTT DoCoMo. Whereas Softbank has housed the radiation measuring technology inside its phone, a special jacket needs to be attached to DoCoMo’s device before it can be used to detect radiation. “Many customers have been nervous about radiation since the Great East Japan Earthquake. We had been thinking what services we can provide to address these needs as a telecom carrier,” DoCoMo spokesperson Daisuke Sakuma said at the time. Despite the disaster occurring over a year ago, much of the area surrounding the plant is still off limits – and could be for years – as the plant’s operator continues to try to stabilize the facility. A number of radiation hot spots a considerable distance from the plant have also been discovered over the last year. The empowering technology is a great example of how the smartphone market can adapt to local situations, and in the case of Japan could help to allay fears among the population about the ongoing radiation-related problems in the country.